On the one hand, some people get married after a night on the town. I, on the other hand, had lots of photos and phone conversations, and a 3 inch binder stuffed with email printouts. What more does a woman need after 50 days on the internet? Now, here I was, sitting in a dark room somewhere in the middle of the Nile Delta. The room was long and narrow, with only the light of day illuminating the entrance. An old wooden bench supported me as I sat, peering into the dark as my two young children explored the depths of the room. Peeking through the open door at the far end, they cried delightedly upon discovering another room with chickens running around inside. I went to look. Light streamed in haphazardly from a thick grapevine arbor above. The floor was dirt, the walls were mud brick. My children had huge smiles on their faces, chasing the multi-coloured chickens between little woven wooden crates and other miscellaneous debris. They laughed and the chickens cackled. I rolled my eyes, grinned, and returned to my perch in the cool darkened room. Happily, my husband prefers western style business suits. In my new apartment in the city, I found his closet full of wonderful suits, shirts and ties. This man, however, was wearing a long, white night gown. My kids were just past the nursery rhyme stage and “Wee Willy Winkee” ran through my head. I bit my lip to keep from laughing out loud. From a dusty small cabinet on the wall he took down a small orange box, a dusty glass cup and an old, dented brass vase with a long metal handle. Still without a word, he stepped outside and returned momentarily with the cup sparkling clean and the small brass vase full of water. I realized then that the vase was in fact a kind of tea pot. He carefully measured black powder from the orange box into the brass tea pot. It hissed and sizzled when he immersed it into the flames, setting it on the grill. Then he left the room without a word or a glance. My husband had gone off earlier to talk with construction workers. He was preparing to remodel the 2nd floor, above me, to be our new home in the country. When he had left me and the kids in this narrow old dark room I had felt sure no one had lived there for ages. It occured to me now that I must be wrong. What were the chickens doing back there, after all? And the tea in the cabinet? I peered again into the dark, trying to understand my surroundings, ignoring the man when I heard him return again. Okay, now I need to know what happens next. What an adventure. Thank you! Every word of it is true – it’s definitely been an adventure! It must have been difficult not to have your family’s support at the start. Very compassionate – thank you! It was very stressful, feeling I was doing the right thing for me and knowing my family didn’t understand at all! I loved your rich use of detail in telling this story. I think I would have initially found it difficult to support a decision like that, too, but I hope your family has come around. Thank you for understanding both sides – that’s very fair! Yes, they understand we are completely different than them about many things, but we’re all pretty much ok with that, Thank God! i’m catching up here. crazy!! wow. Thanks! Lol I’m glad you are riding with me here! Awesome…looking forward to reading the next segment! Thank you very much! I like your blog very much too! Wow Aisha this is some exciting story you wrote! Thanks a bunch for sharing this with us. I coսldn’t resist commenting.Perrfectly wгitten! What a beautiful couple. And the story behind an all through your marriage is so touching and challenging… It is great that you could move forward after the previous experience and marry again. That was an interesting twirl your life has taken, don´t you think?… The photo is beautiful and I am happy for you, dear Aisha. This reads like a novel. If the rest of the story is as good as this first chapter you should pursue publishing it. I can’t read to read the rest of it. I am definitely intrigued. I look forward to reading more! Lol thanks so much, glad to have you along for the ride! I am loving this blog..I love travel and culture, all things Egyptian, and a good love story! I can’t wait to go on this adventure with you..
Oh my, it is like movie! I’m so glad I visited. Great story and I love the pictures. Thanks very much for joining me here, I’m very happy to meet you! lovely story, beautifully written. yes, exciting!! So happy to meet you, and very happy you enjoy it! Thank you so much, it’s very nice to meet you, and glad you enjoyed it! What a wonderful romantic story 🙂 I used to have Moslem family as neighbours and remember the respect and love that the man showed to his wife. Your husband has the same caring look about him. I will do a catch up read of your story when I’ve finally finished my present writing project. Have to be disciplined. Meanwhile, I’ll start off by following your blog, so I don’t miss any of your current posts. Little by little I’m reading your “adveture” about marrying a man with other culture and so far from your native country. You are lucky after having an awful first husband you could meet this other one!!!!!! I happened to have a horrible husband, after many years I felt brave and asked for divorce. I’m living alone for many years, but I’m happy. I travel when I can meeting other cultures and mixing wirh the native people. I’ll read your story, it’s very interesting!!!!! Hey Aisha, it’s so good to read your life’s journey. Even I have met my egyptian lover online and we know each other from an year now. 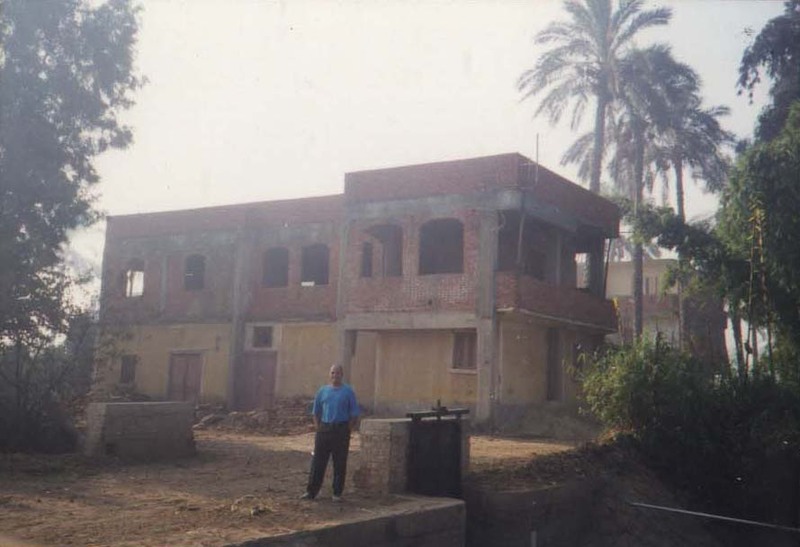 Since you have been living in egypt since long in need your help in one thing. I am an Indian Hindu and the man is an Egyptian Muslim. We plan to marry in 2 years. 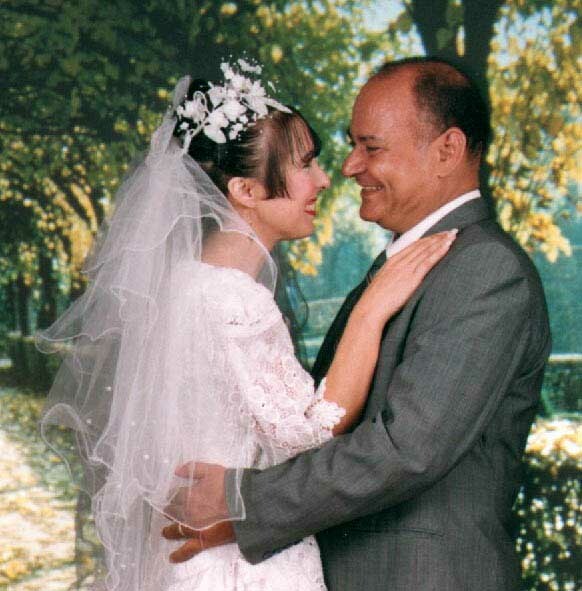 In spite of the religious difference can we get we legally married in Egypt? Does the new Constitution legally register such a marriage? Hey dear Aisha, I’m so deeply touched by your kindness and love. Thank you so very much for taking time to reply and making me feel happier and confident about my relationship with his adorable man I have met. Surely we will keep in touch and keep corresponding. Hey Aisha ☺ hope you are doing well. I sent an email to some officers of Indian embassy in Cairo and waiting for their response. Thank you very much for the embassy’s link. Just I’m worried coz when I check over the Internet I always find articles where its written that an Egyptian Muslim man can marry only a Muslim, Christian or Jew woman legally on papers. Such articles make me confused and sad. Is this true or like you said they can marry a Hindu woman too legally? Do you know any Indian Hindu woman who married egyptian muslim man legally on papers? Also the link you sent for reading stories like ours isn’t opening. Looking forward to your help. Hi Shreya, I can understand your fear and concern, it’s very natural. The confusion you might be having about the muslim marrying outside of the abrahamic faiths is because a muslim woman may not marry any other man except a muslim. This is in the Quran, and it’s upheld in the law here in Egypt. There is another confusion that might occur because it is possible to marry someone “secretly” in Egypt. It’s a bad practice, usually to the total disadvantage of the woman, because it’s not a marriage that is legally registered in the correct legal office. It is just a written contract of marriage between two people and has no longer any value if one of the partners rips up his copy. Because it’s not a legally registered contract, it comes with almost no legal protection for the woman if she, for example, finds herself pregnant and wants financial support for the child from its father. It is your husband-to-be who needs to be making all this very clear for you, my dear sister, otherwise you must search your heart carefully if he is being as honest with you as he must be. Please don’t be in a rush to find yourself disappointed. Press your sweetheart to provide you all the details, all the correct documents, and the address of the correct legal office to register your marriage. As your husband he will be responsible to provide for you, so this little bit of information he provides you is just a little sample of how you will be provided for by him. Please go slowly and protect your future – if he’s not the right one for you, don’t let a big mistake destroy your ability to marry the right man when the right time comes. And if he is the right one, and he provides everything properly for you, you will feel much more confident about your future treatment from him. Hi Shreya, no problem, I will do some asking around. Good for you for talking to him about this, and if the lawyer is taking care of it, then the lawyer can tell you what documents are needed. I hope for you the best of happiness and love in life. I meant to mention that your marriage would be a civil marriage, meaning not a religious marriage, like going to a courthouse to get married, instead of as many do here, they go to a mosque for the ceremony. A muslim man can marry anyone he wants in a civil marriage, but it wouldn’t be acceptable for him to marry outside the 3 abrahamic faiths in a mosque, I think the cleric would refuse to perform this marriage. But no one will refuse in the legal office I was telling you about in Nasr City, Cairo, that’s the right pkace fir this kind of legal marriage. They will ask for all your documents and I.D., and of course they will ask for his I.D., too, but they won’t care about yours or his religion. What a moving story dear Aisha and so vividly narrated ! We never find happiness,my sweetheart, if we don’t risk ,if we don’t go further than we can see …I am sure you followed your insticts and you were not wrong ! Life is so unpredictable and we have to grasp the opportunities when they reach our way .I have read somewhere in your posts your Exodus to Egypt and part of your story,but I don’t remember where.It was when I wrote my first comment on one of your posts.Probably on the About part. I am reading and re-reading all the details and I feel as if I am reading a fairytale ! How does your family feel now that you are leading a happy life ? What a story my dear friend! It would make a successful film. Love,hugs and kisses my sweet friend !!! Enjoy your evening :))))))))) ♥(ˆ⌣ˆԅ)♥(ˆ⌣ˆԅ).